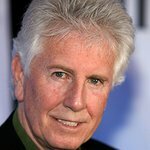 The National Association of Music Merchants (NAMM) will honor Graham Nash with its “Music for Life” award for his 40-years of legendary musical contributions that continue to shape our culture. NAMM’s President and CEO Joe Lamond presented Nash with the “Music for Life” award during the NAMM Show’s opening Breakfast of Champions. Nash will headline the NAMM Nissan Grand Plaza Stage with a performance at the close of the NAMM Show’s opening day. The “Music for Life” award is NAMM’s highest honor recognizing individuals and organizations that demonstrate, support and exemplify NAMM’s vision that the joy of making music is a precious element of daily living for everyone. Previous recipients have included musicians Stevie Wonder, Yoko Ono, Henry and Felice Mancini, Smokey Robinson and others, as well as Members of Congress, governors and business leaders. Legendary singer-songwriter Graham Nash is a two-time Rock and Roll Hall of Fame inductee with Crosby, Stills and Nash and with the Hollies and was inducted into the Songwriter’s Hall of Fame twice. Among his many accolades, he is also a GRAMMY Award winner, New York Times bestselling author, internationally renowned photographer and visual artist, and was appointed an Officer of the Order of the British Empire (OBE) by Queen Elizabeth. 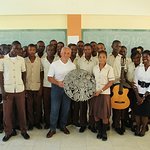 The creator of iconic songs including “Our House” and “Teach Your Children” is a powerful voice for peace and social and environmental justice regularly lending his voice to philanthropic endeavors. The No Nukes/Musicians United for Safe Energy (MUSE) concerts he organized in conjunction with fellow musicians Jackson Browne and Bonnie Raitt in 1979, remain seminal benefit events. The Graham Nash: This Path Tonight Tour 2016 kicks off the week after his appearance at the NAMM Show. Nash’s upcoming studio album, This Path Tonight is set to release April 15, 2016. The NAMM Show gathers more than 95,000 members of the music product industry from around the world to preview new music products from 5,000 brands across every category. Learn more about the 2016 NAMM Show at www.namm.org/thenammshow/2016.